House of 180m2 with patio 40m2 for sale in Palafrugell. Located in a quiet area and easy access. Ground floor: Entrance, garage for 1 car, multipurpose room with access to terrace with barbecue area. 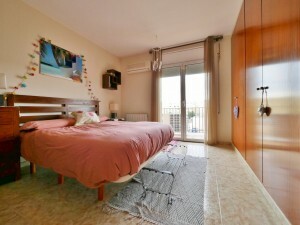 First floor: large living room, toilet and large fully equipped kitchen with access to balcony. Second floor: 4 bedrooms (2 doubles, 2 singles) and two full bathrooms (1 shower, 1 bath). The house has aluminum closures with double glazing, natural gas heating, garage for 1 car, patio, wardrobes in the rooms and balconies.